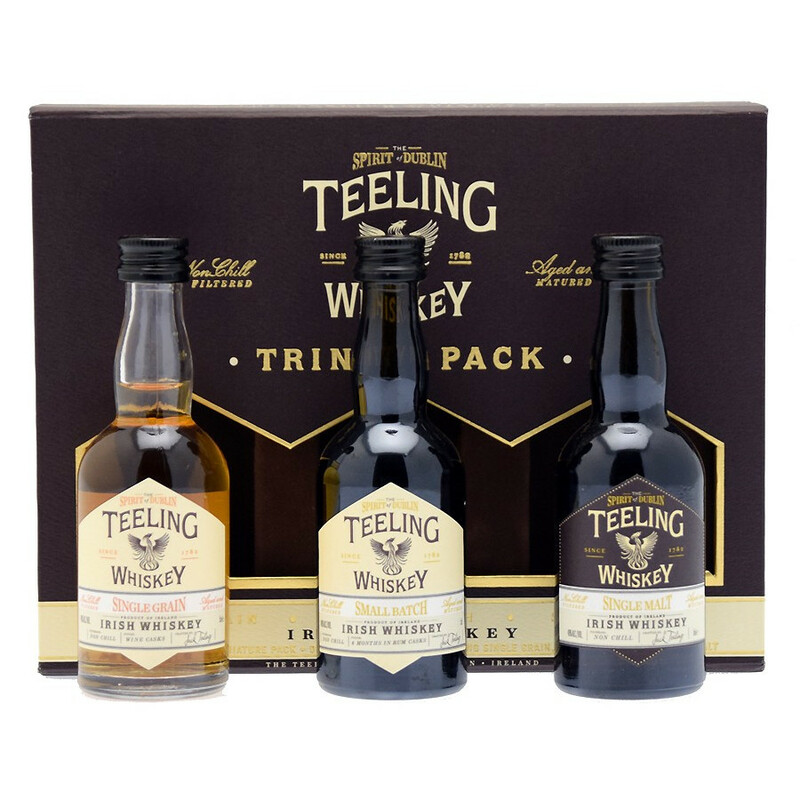 The young and promising Teeling Whiskey distillery offers here a great way to discover its Premium Irish whiskey with this Trinity gift pack. The set includes three miniature bottles of 5cl of non chill-filtered whiskey. - Teeling Premium Blend 5cl 46° with a 6 months finish in rum barrels. The marriage of whiskey and rum brings in a flavoursome dimension to the traditional Irish character. Teeling brings a refreshing experience with this Single Grain that turns out to be a beautiful amber spirit with lush fruit notes. Teeling Single Malt is a remarkable Irish whiskey that received the title of Best Irish Single Malt at the World Whiskies Awards 2015.